Foxgloves (Digitalis spp. ): growing, planting, caring. Did you know? The scientific name ‘Digitalis’ means "finger-like" and refers to the ease with which a flower of Digitalis can be fitted over a fingertip. Scientific name : Digitalis spp. Full description for Digitalis spp. not yet available. Digitalis are perennials or biennials with single leaves, oblong and lanceolate, sometimes toothed. At the base is one or more rosettes of leaves, surmounted by alternate leaves. The flowers are in rather flattened tubes, spotted. The foxgloves are planted rather in autumn, in an ordinary soil, preferably rich in humus. Place them in the sun or in partial shade. If your soil is not rich enough, add a little ripe compost while planting. Prepare your planting spot by loosening it up to 20 cm deep using a pitchfork, without lifting and turning back the soil - its enough to move the handle back and forth. Break the clods. 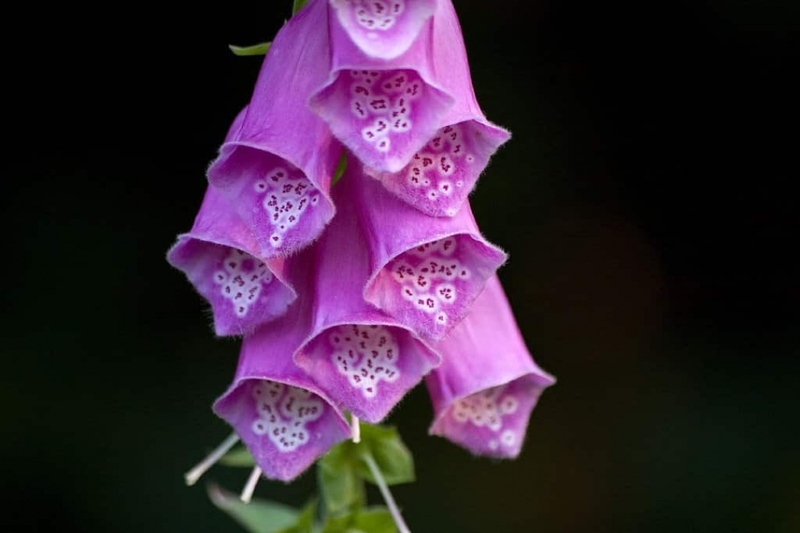 Plant every 40-90 cm, depending on the development planned for the variety of foxglove you have chosen. Cover with some soil, compact it until there isn't any air left around the roots, then water. Water during the summer season, once a week in case of dry weather, in the morning if possible. Water also during first month after planting, twice a week. Mulch the foxgloves, it will save you the hassle of watering too much and weeding too! Prune the flower stalks after flowering, to limit digital seedlings throughout your garden. In summer, harvest some digitalis seeds. To multiply the foxgloves, sow in a box filled with fine potting soil in May, preferably in a cold greehouse - to maintain a temperature above 18 ° C. When the seedlings reach 7 to 8 cm, transplant them into individual buckets. The following October, you can plant them in the garden!